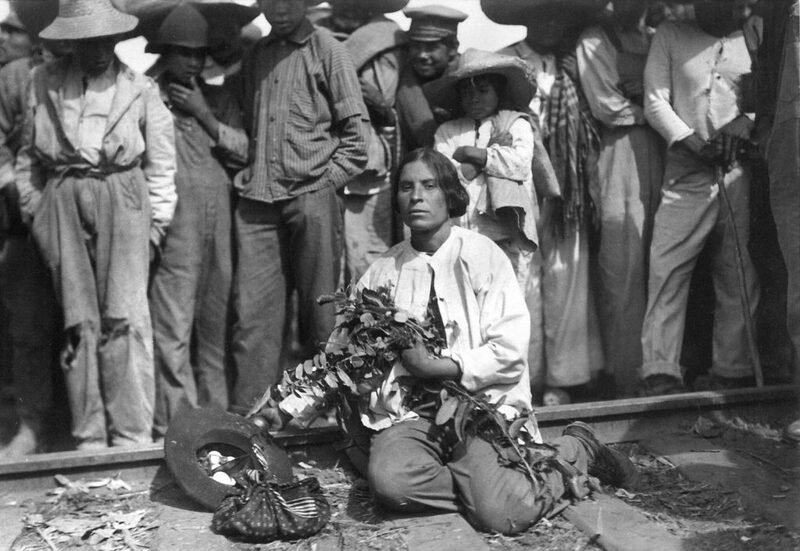 Agusti­n Victor Casasola was Mexico’s national photographer, yet he is virtually unknown outside of his country. 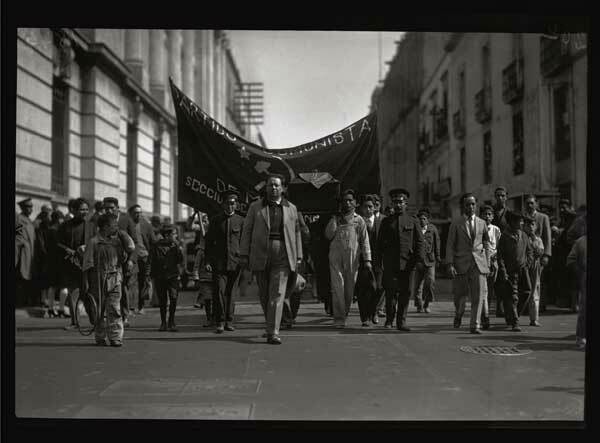 The Casasola archive, consisting of some 500,000 negatives, is now owned by the Mexican government. 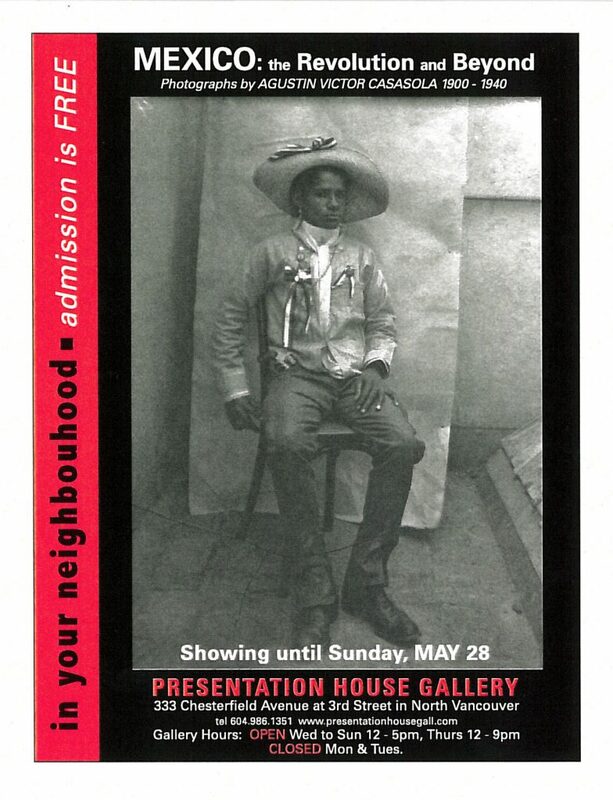 Casasola’s images are extraordinary, by any measure, and they are also the single most complete documentation of the life of a country by one person anywhere. Neither Canada nor the United States, for instance, has a photographer whose accomplishment comes close to approximating Casasola’s. The 92 images in this show span the period from 1900 to 1940. Catalogue published by Aperture with texts by Pete Hamill, Pablo Ortiz Monasterio, Rosa Casanova and Sergio Raul Arroyo. 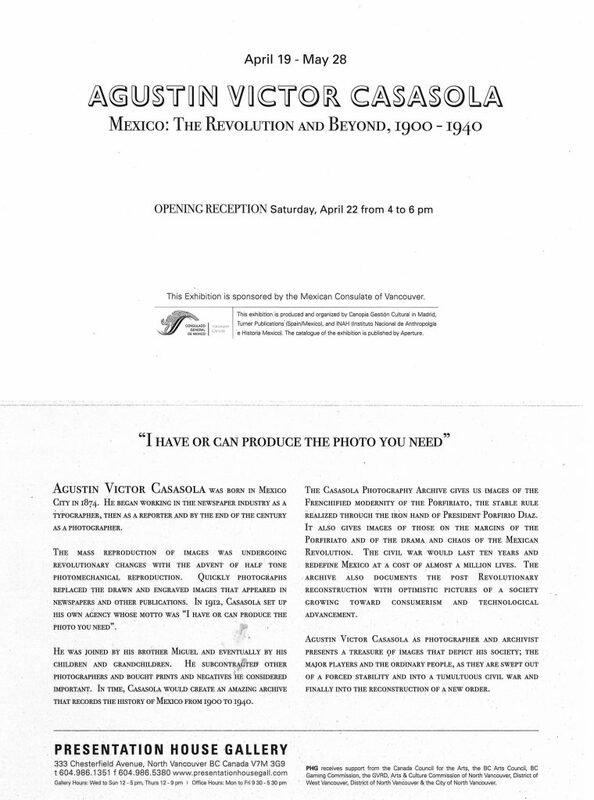 This is a touring exhibition organized by Canopia, a section of the Institute for North American Studies in Madrid. There will be talks on Saturday April 22.